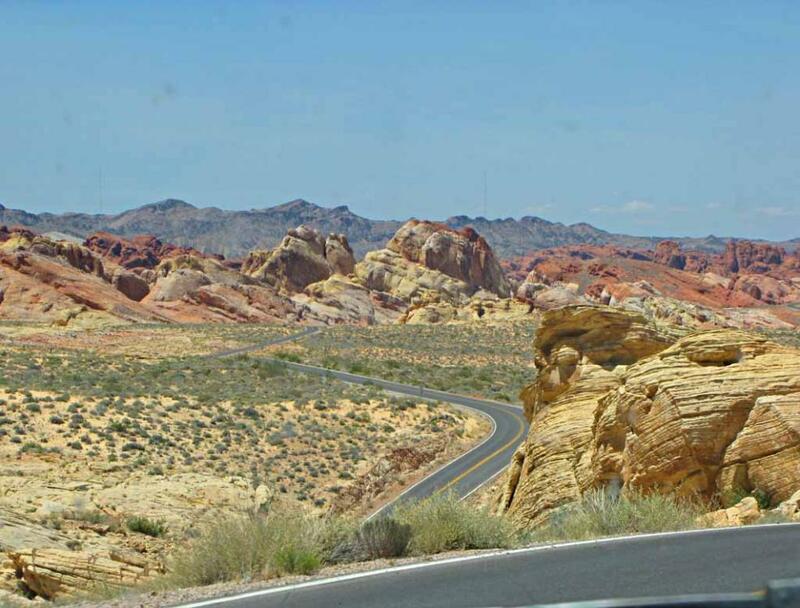 this web page are from these four trips in 2006, 2010, 2012 and 2017.
of southern Nevada only 55 miles northeast of Las Vegas via Interstate Highway I-15 and State Route 169. 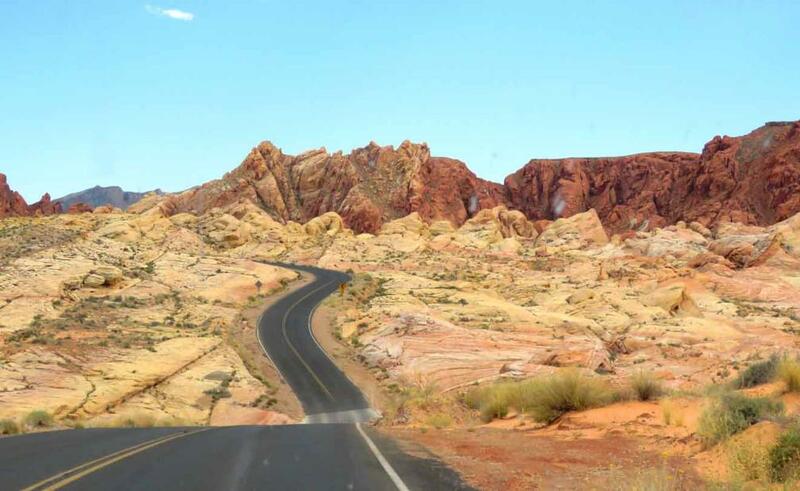 Highway 169 (Valley of Fire Highway) which connects into Interstate Highway I-15 on both ends. 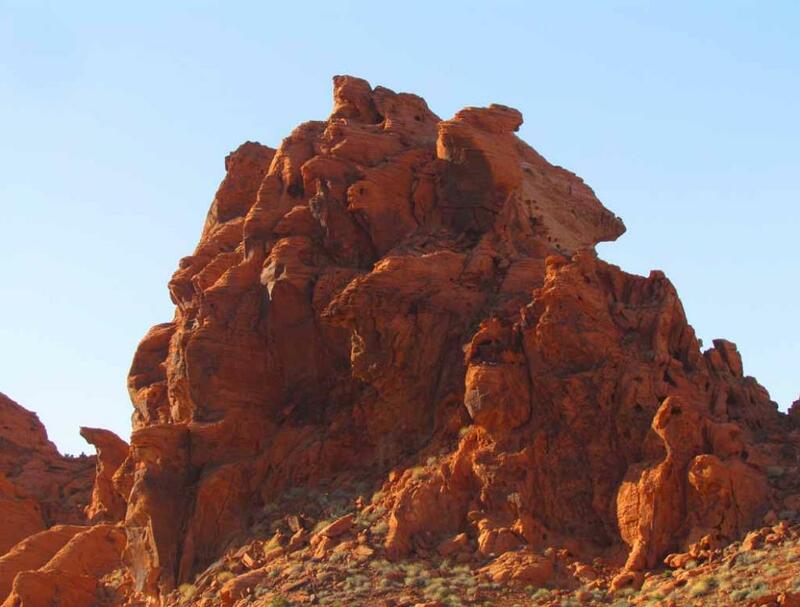 The Elephant Rock near Valley of Fire Road and near the East Entrance of Valley of Fire State Park. 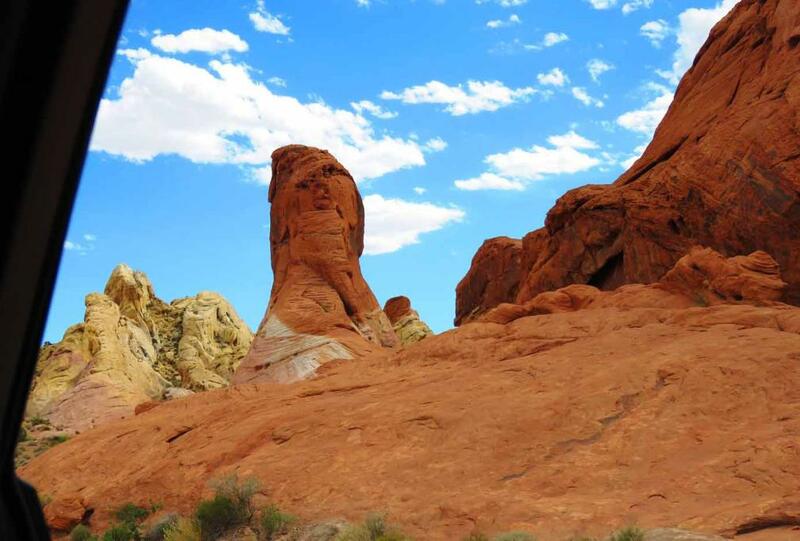 The Arch Rock, also known as Arch of the Gods. 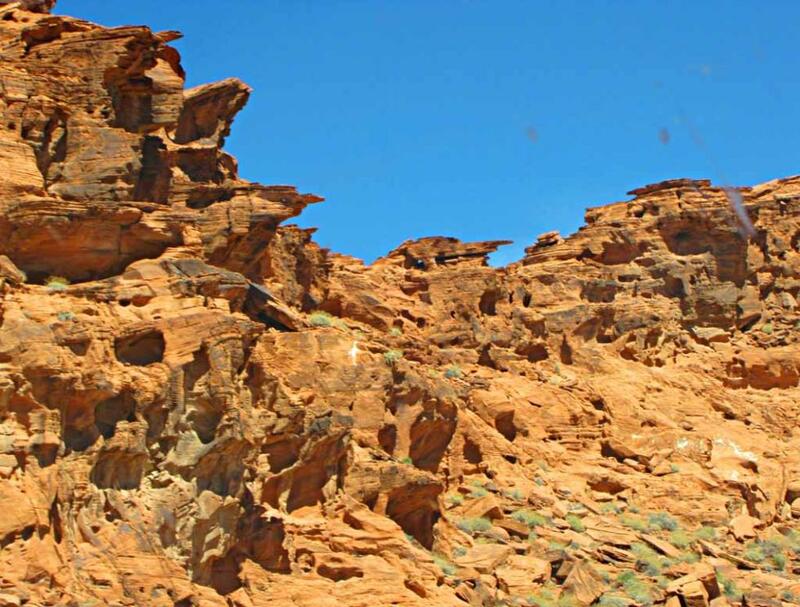 Rock formations that look like beehives. 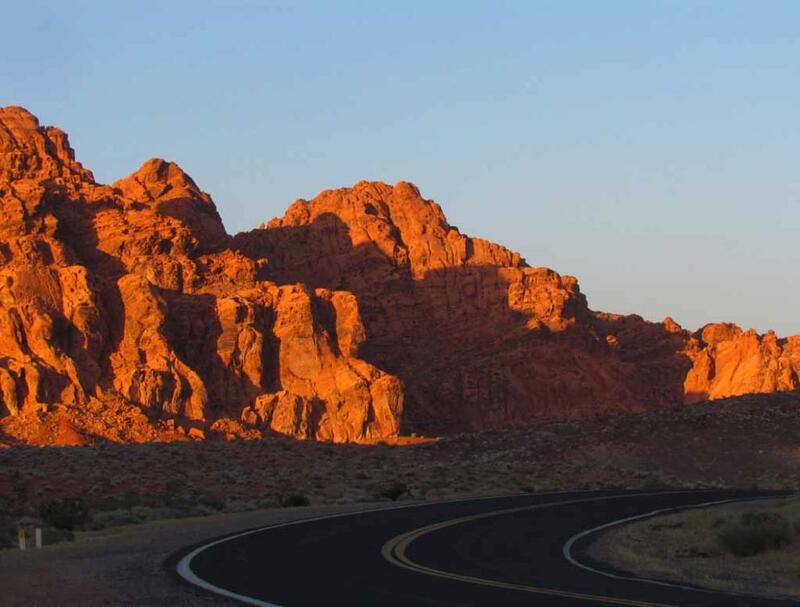 sunset the rocks appear to come alive with fire, giving the Valley of Fire its name. 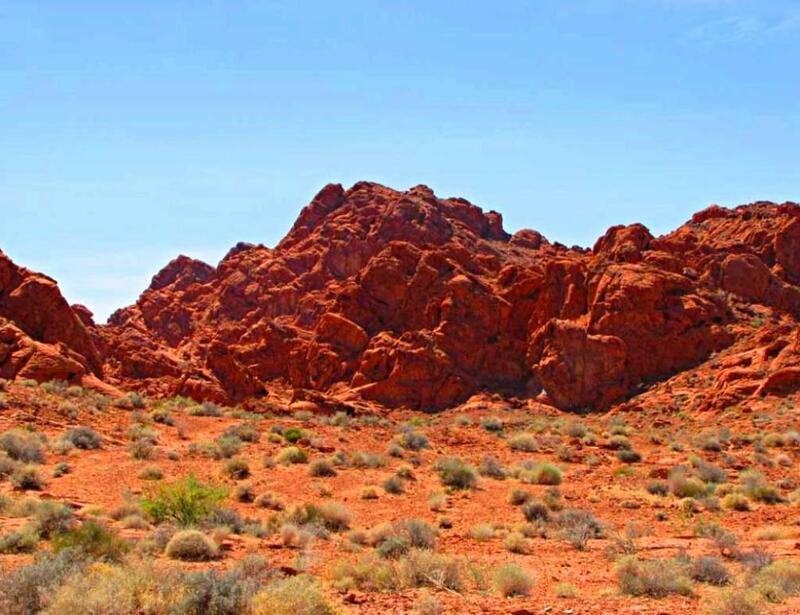 Valley of Fire its name. 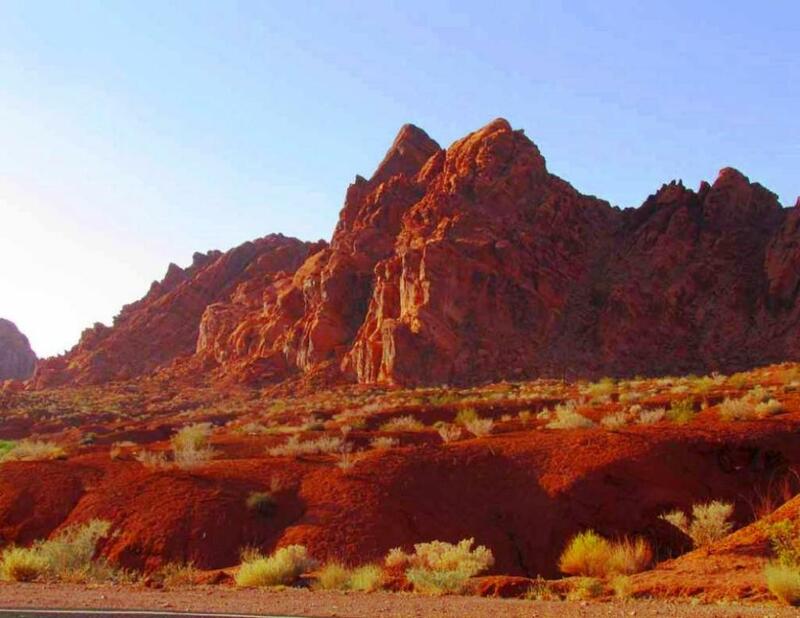 Mountains (火焰山) along the historical Silk Road in XinJiang province in western China. 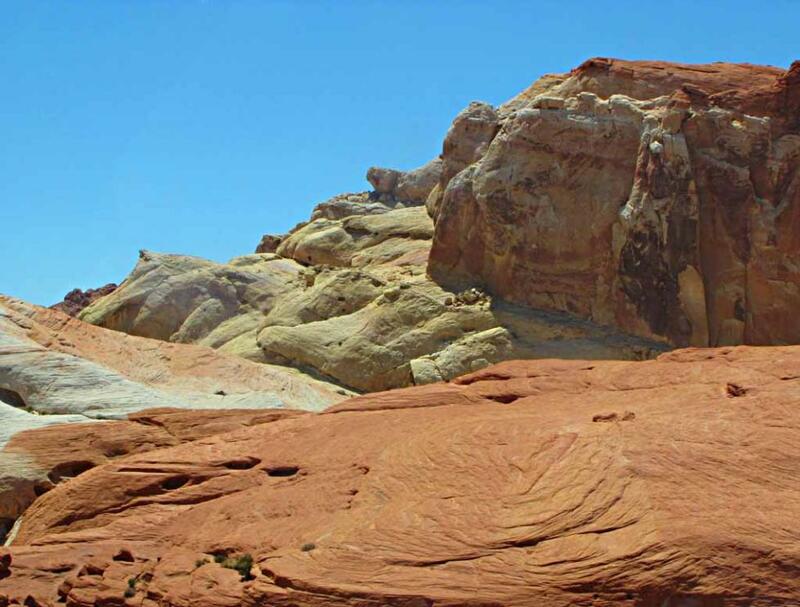 considerable mixture of color deriving from the sandstones. 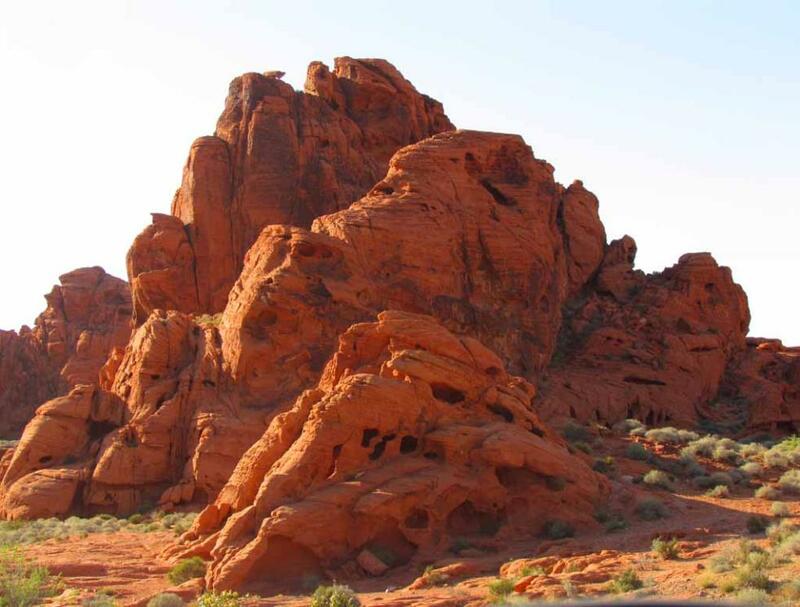 more exotic. 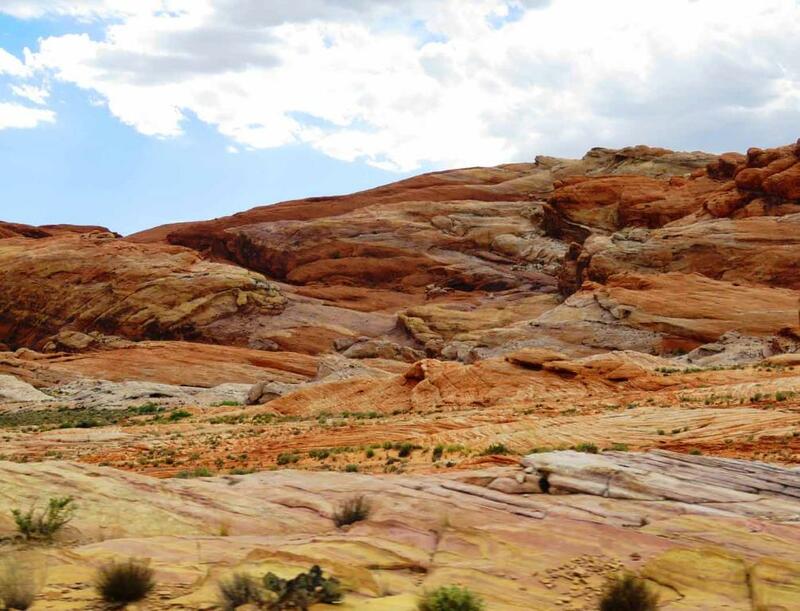 Endless variation in geographical colors and patterns. 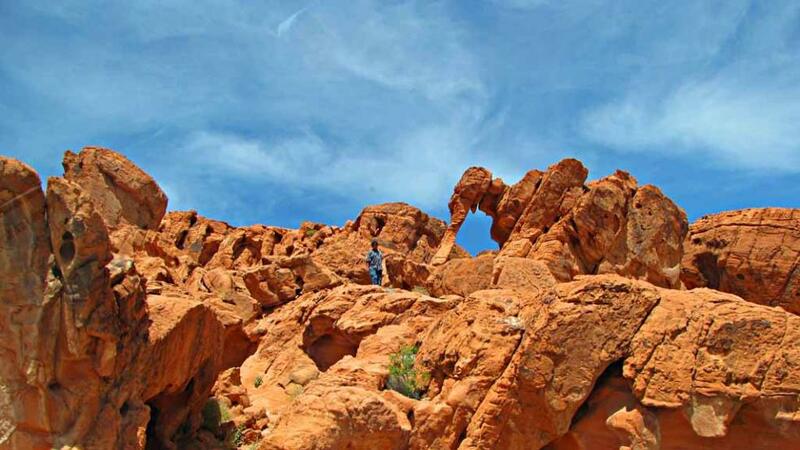 visitors to go up to see the petroglyphs on the stone walls. 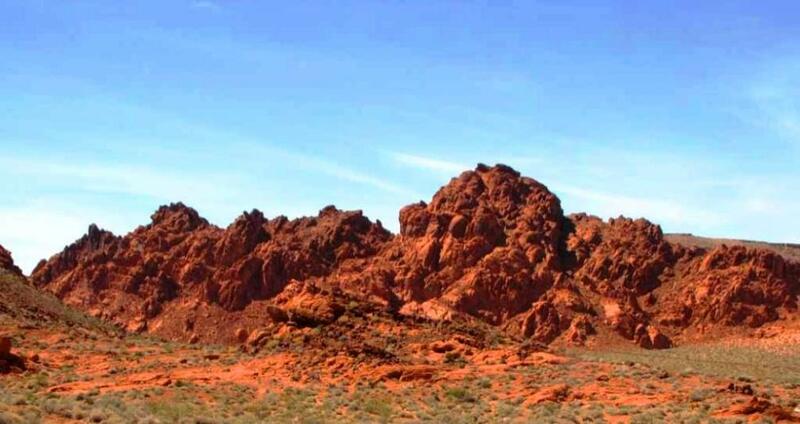 shot in Valley of Fire. 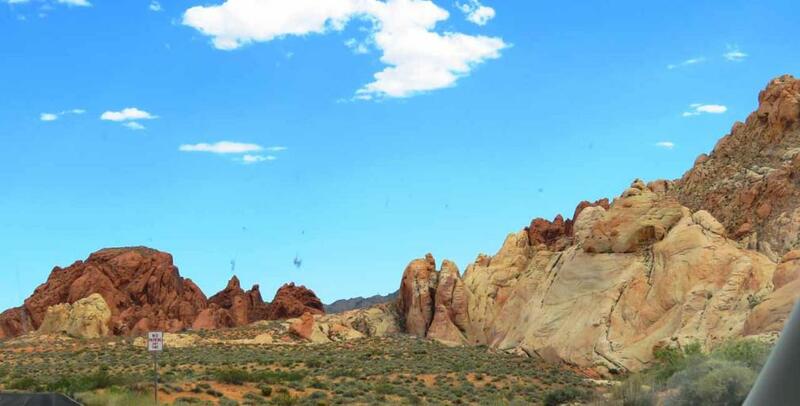 This is where Capt. 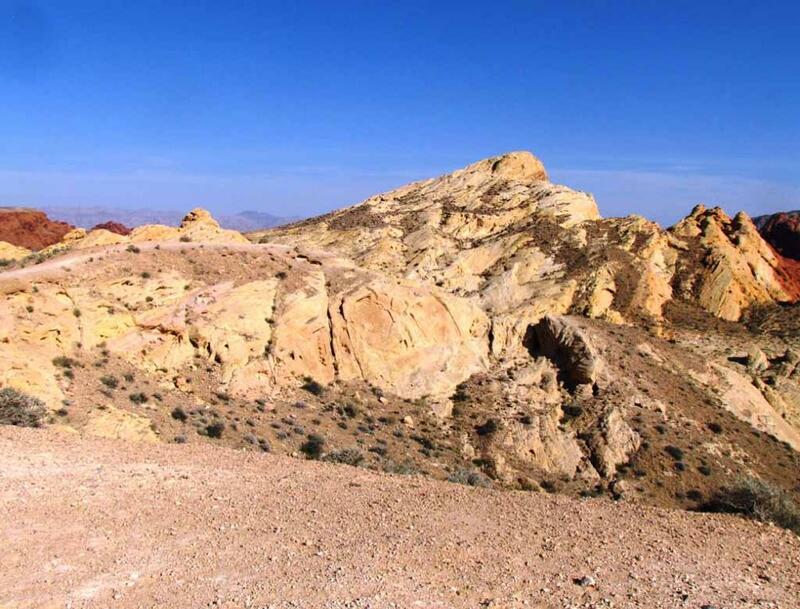 James Kirk died in the motion picture "Star Trek: Generations." 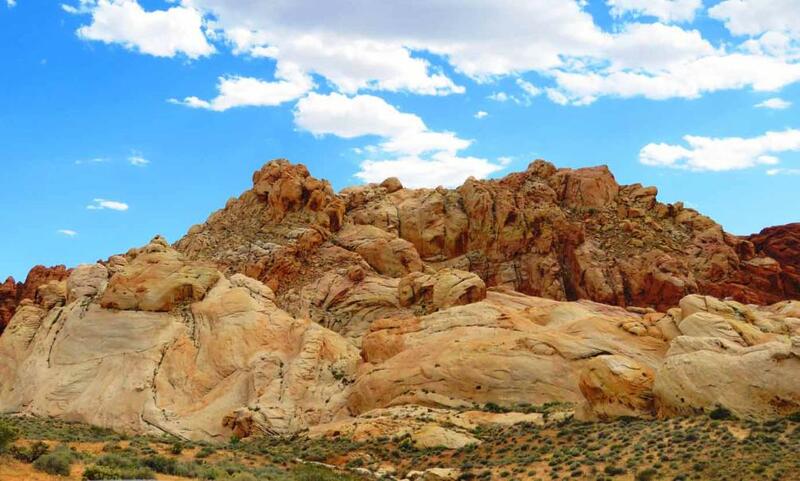 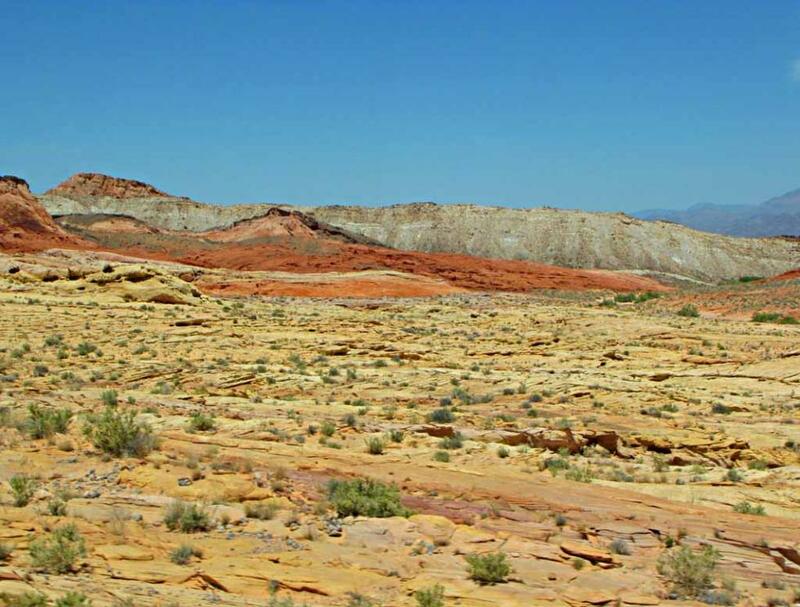 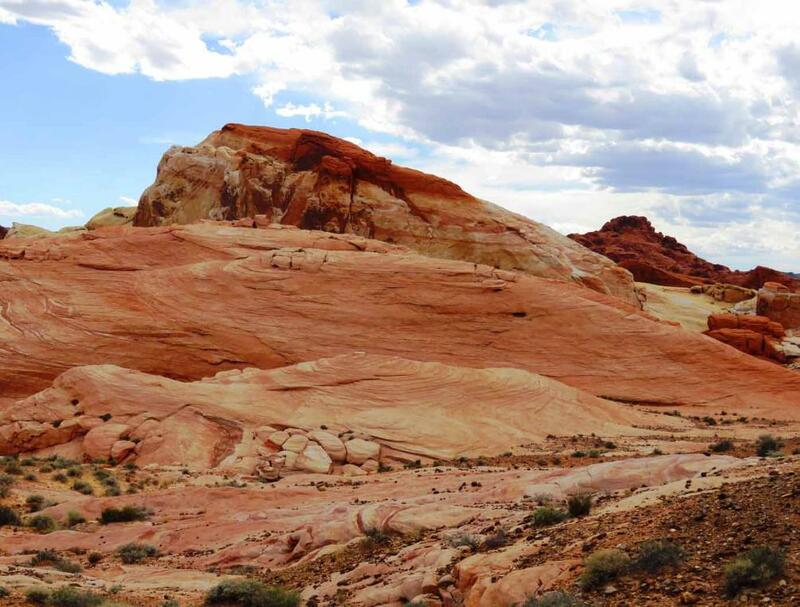 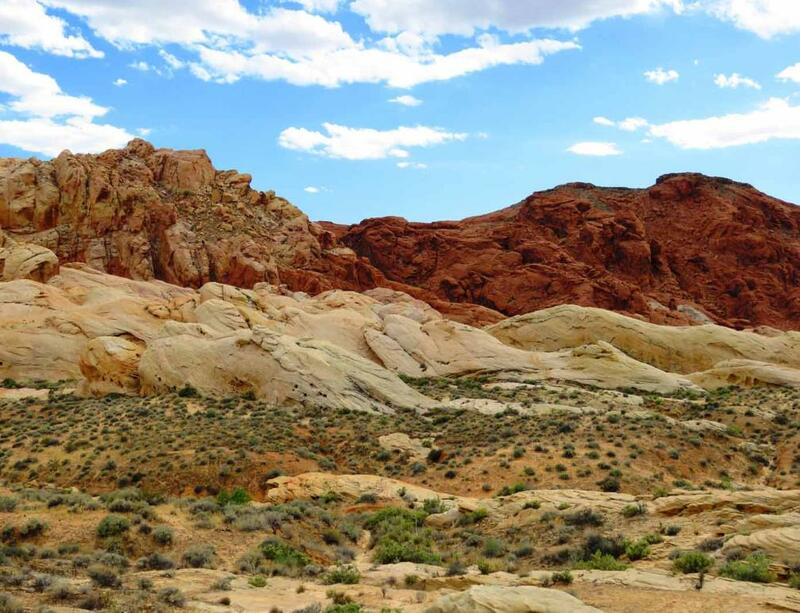 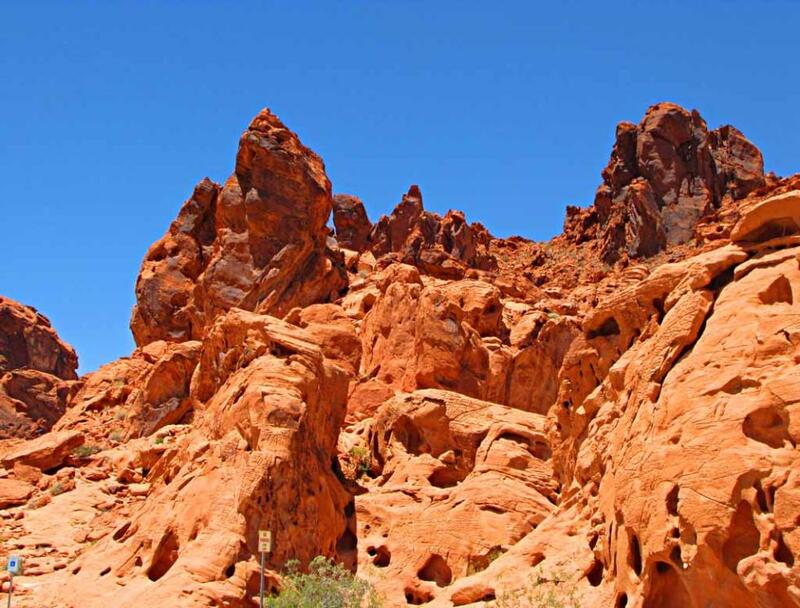 In Valley of Fire, you feel as though you have been transported to an alien planet. 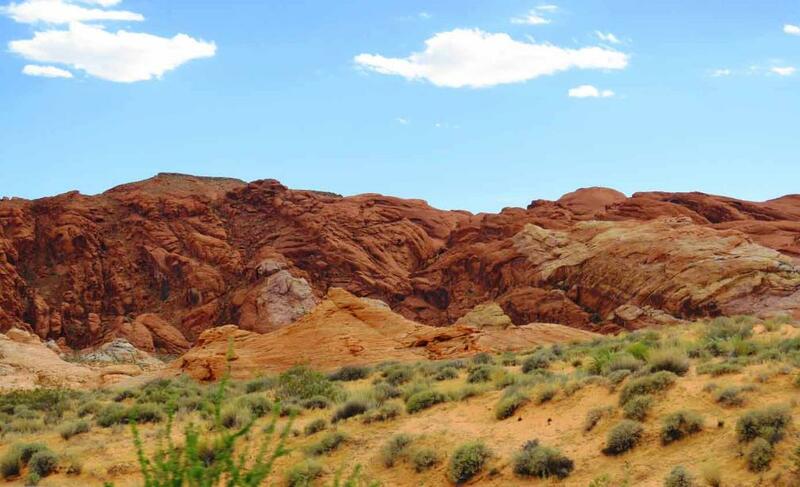 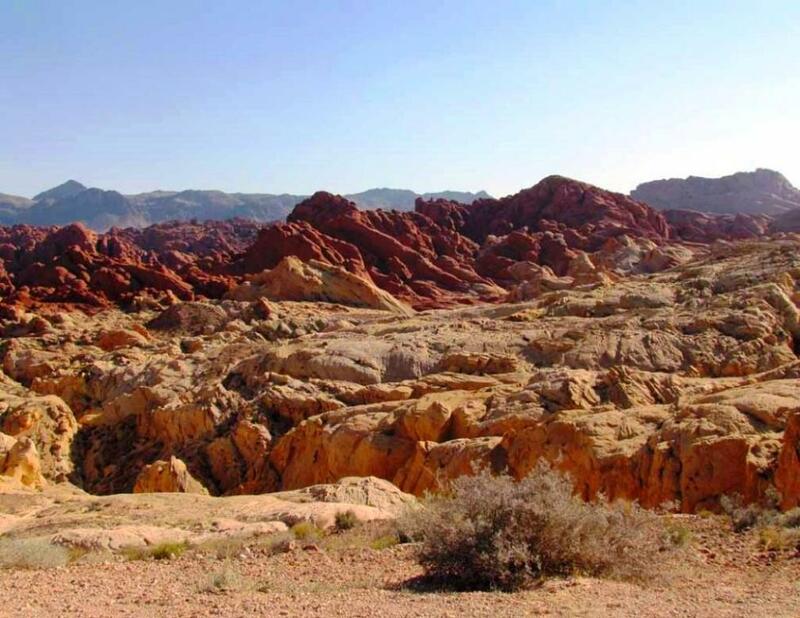 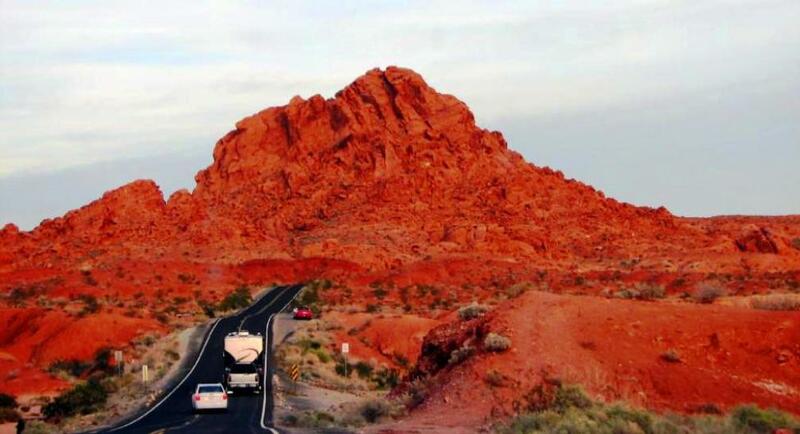 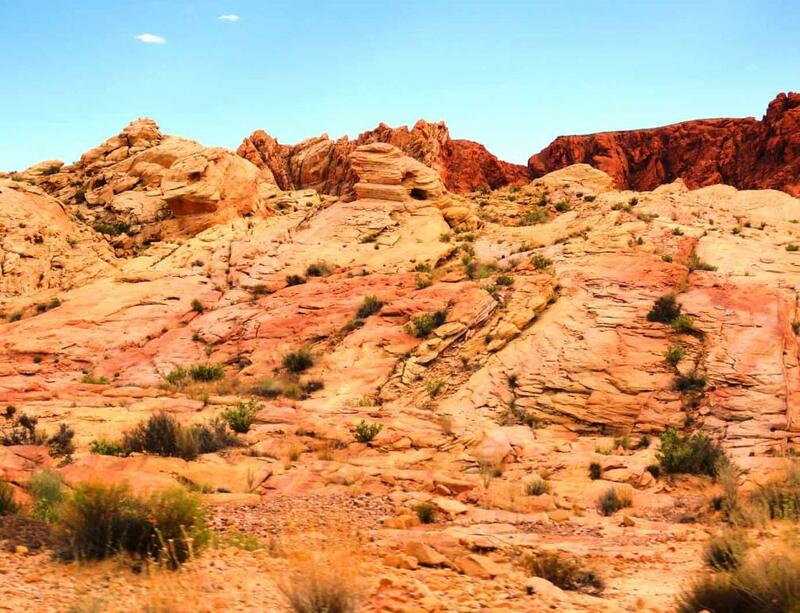 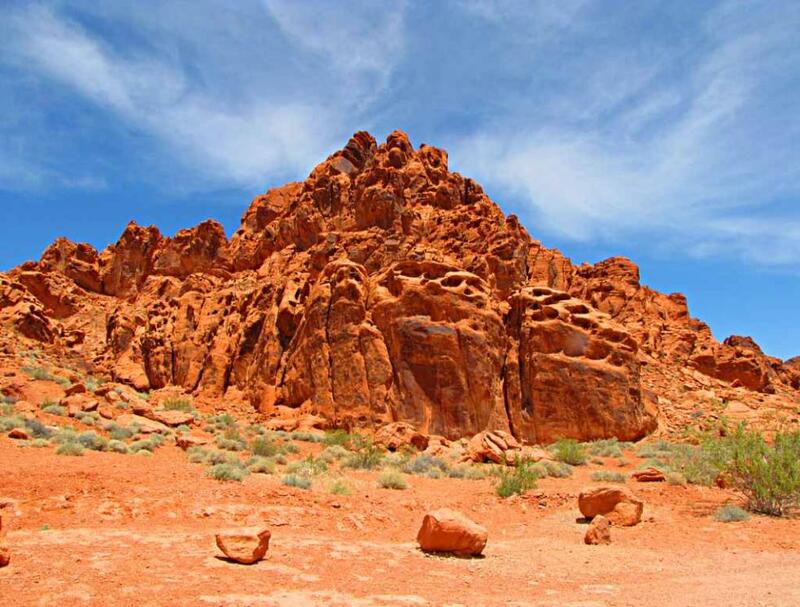 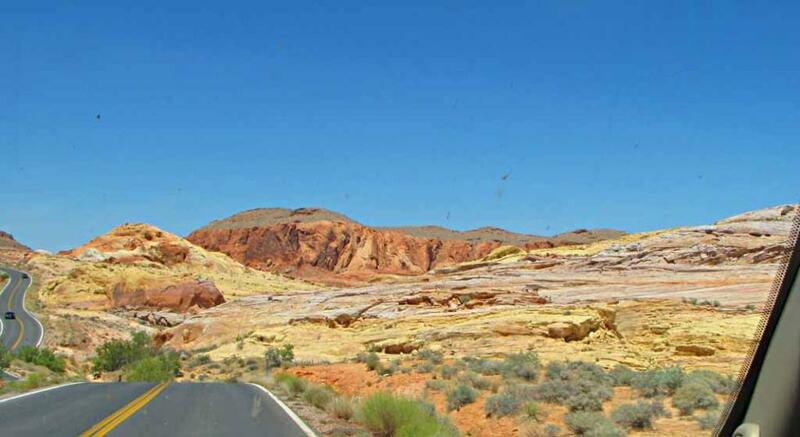 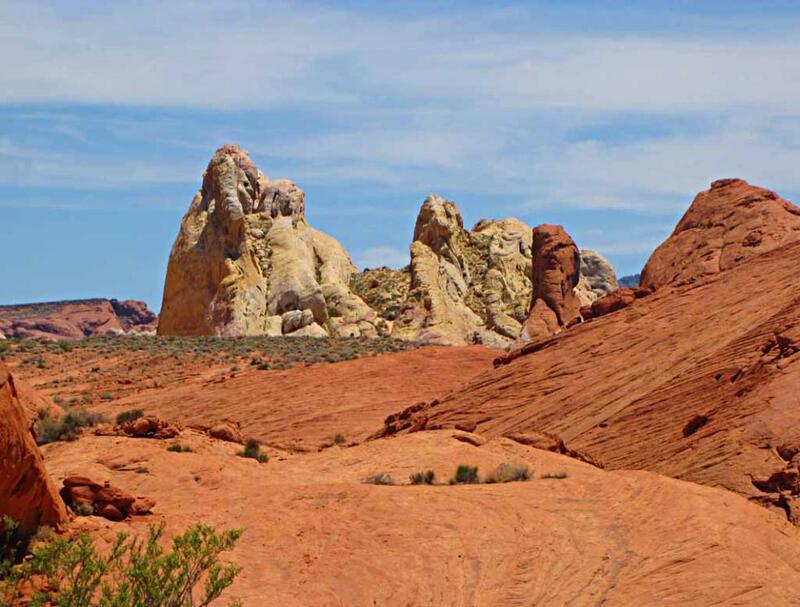 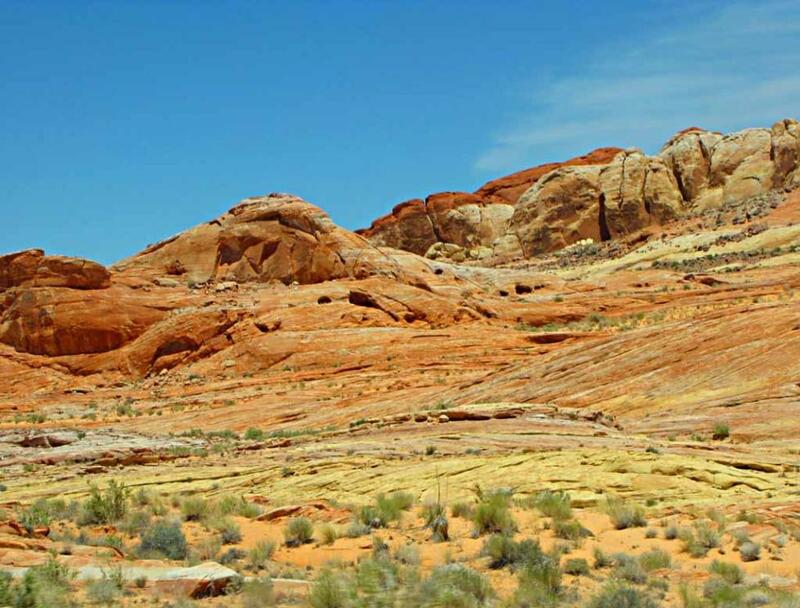 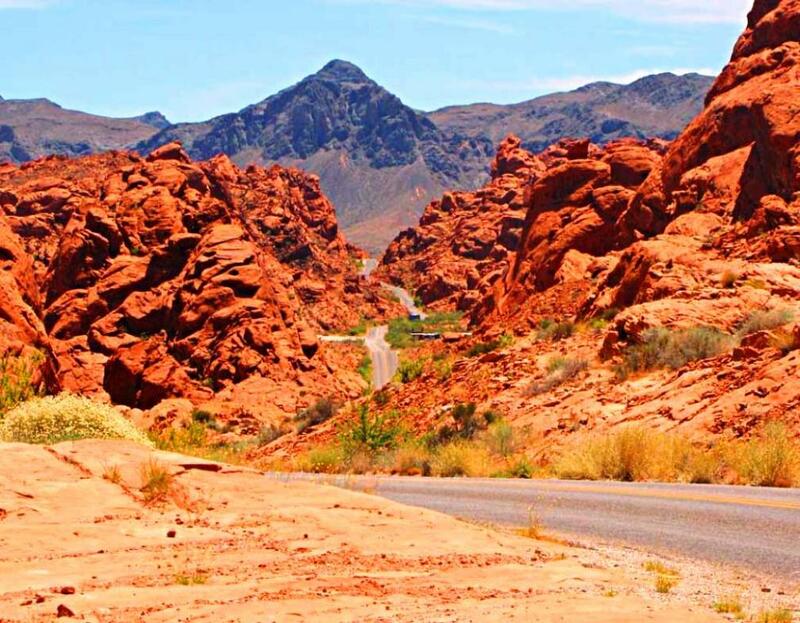 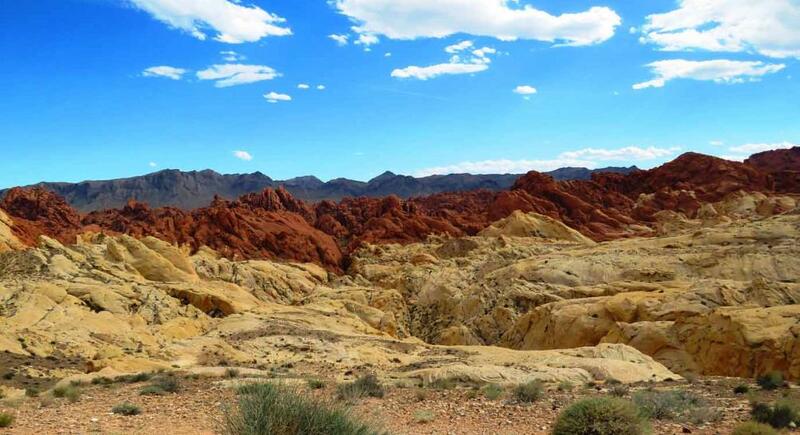 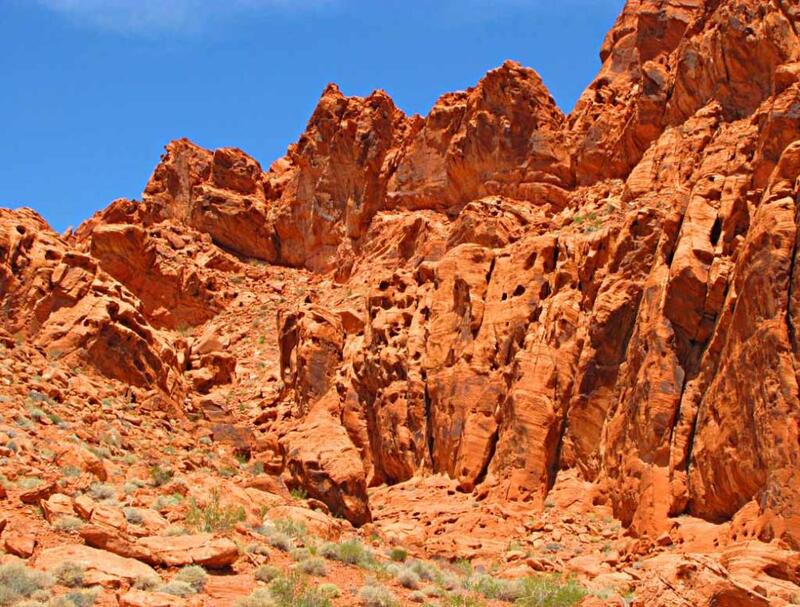 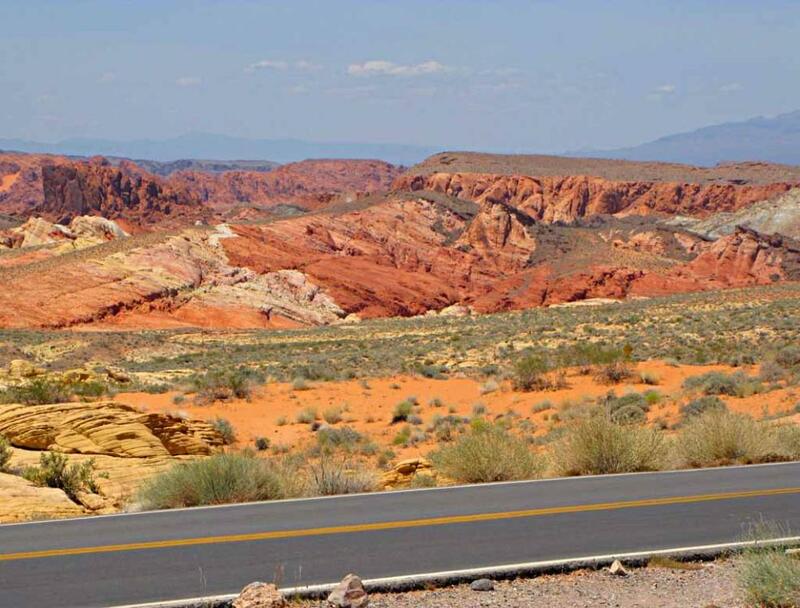 Valley of Fire has also been the backdrop for numerous TV shows and commercials. 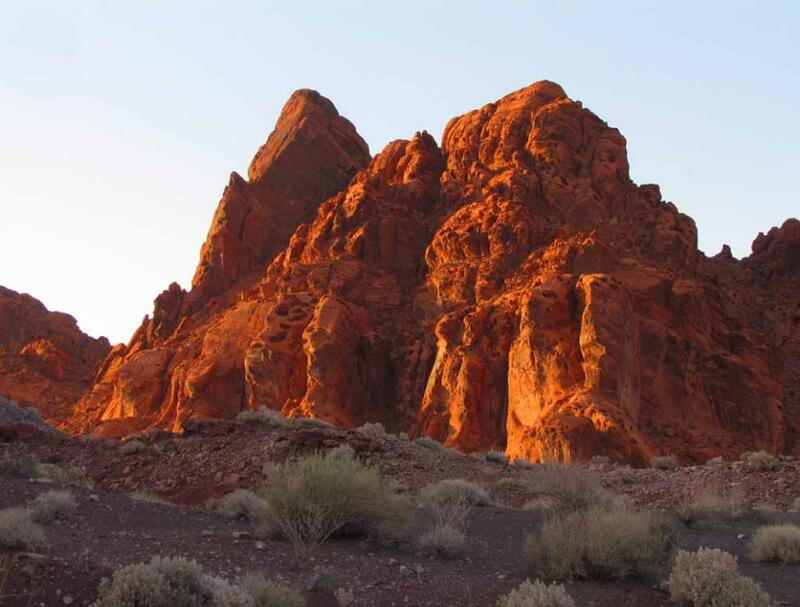 As the sun sets, the fiery-colored sandstones seem to ignite in flames. 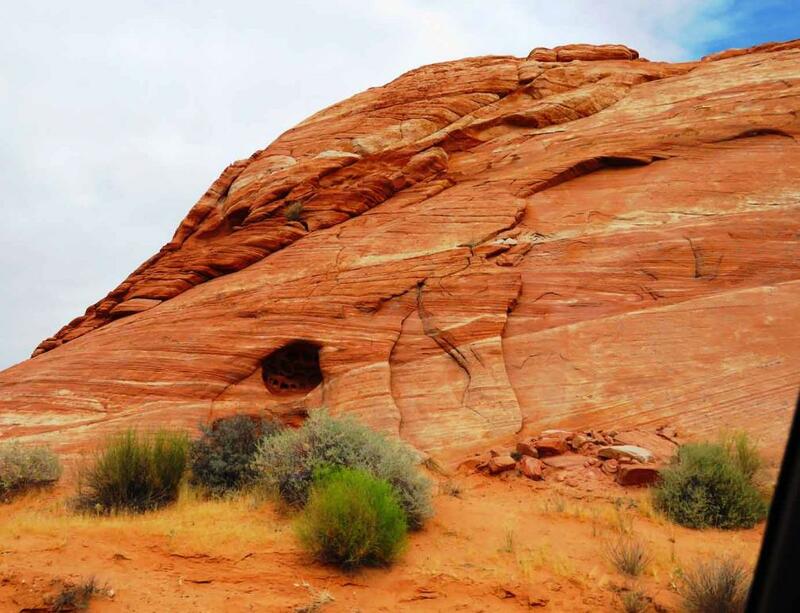 unique geological features inside this Playground of the Gods will keep you and your camera busy all day. 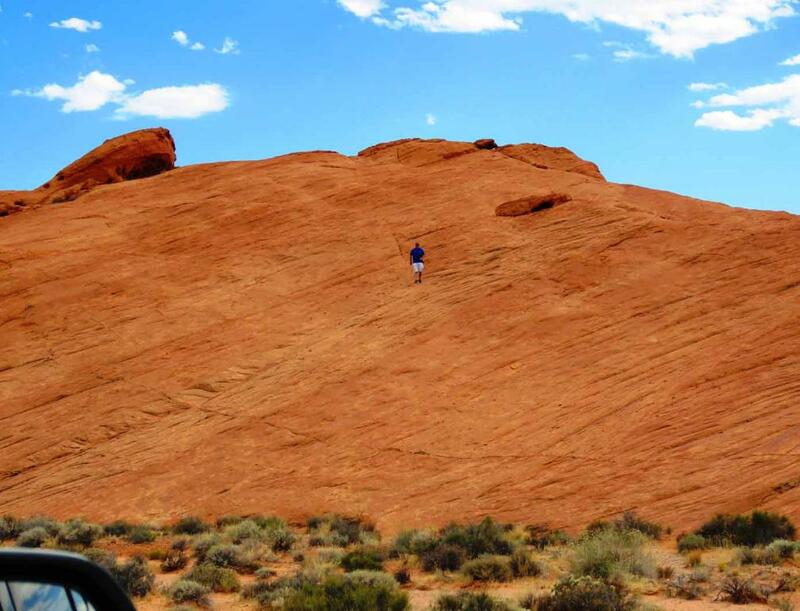 Feel like a kid in a candy store. 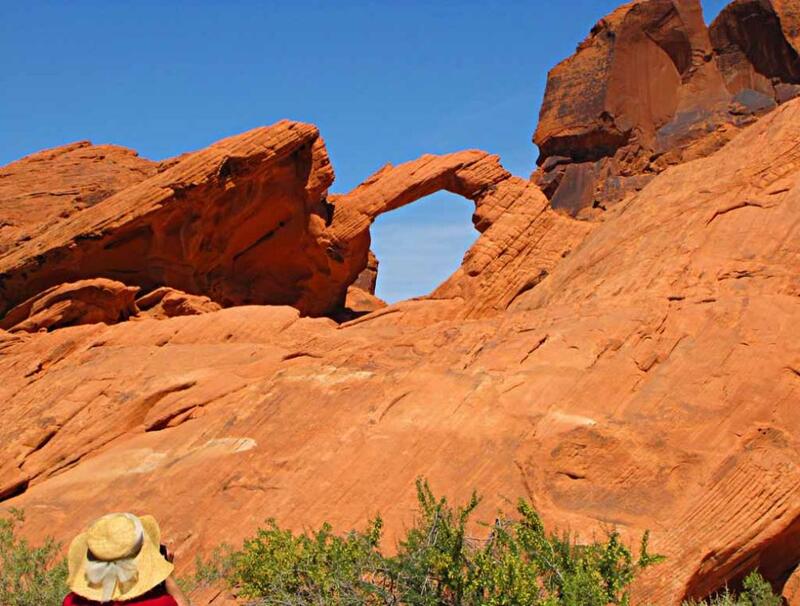 There are numerous arches in Valley of Fire. 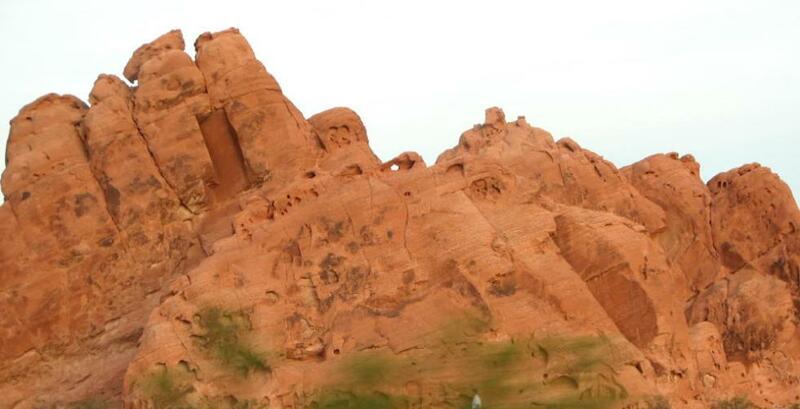 between 2 red sandstone pillars. 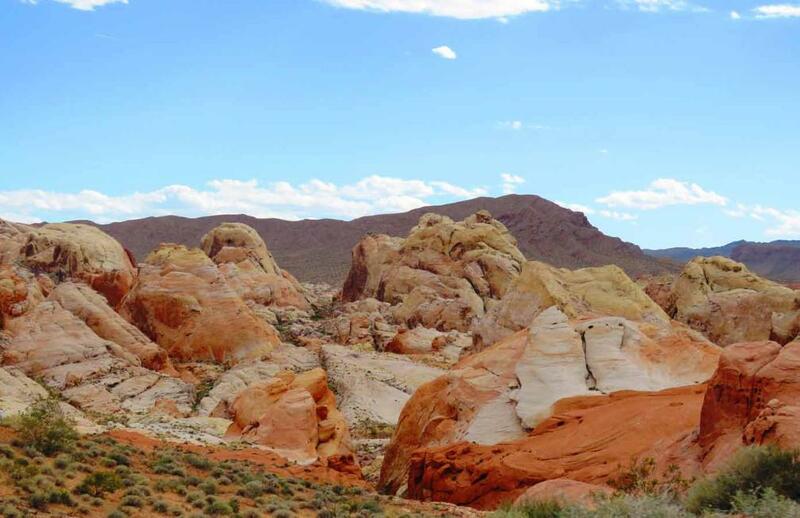 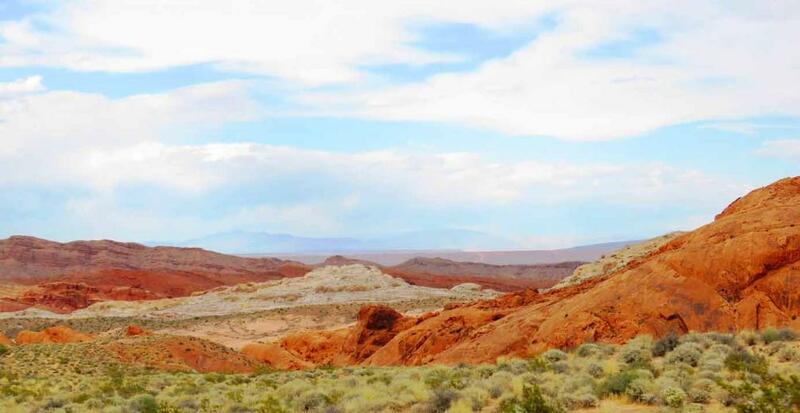 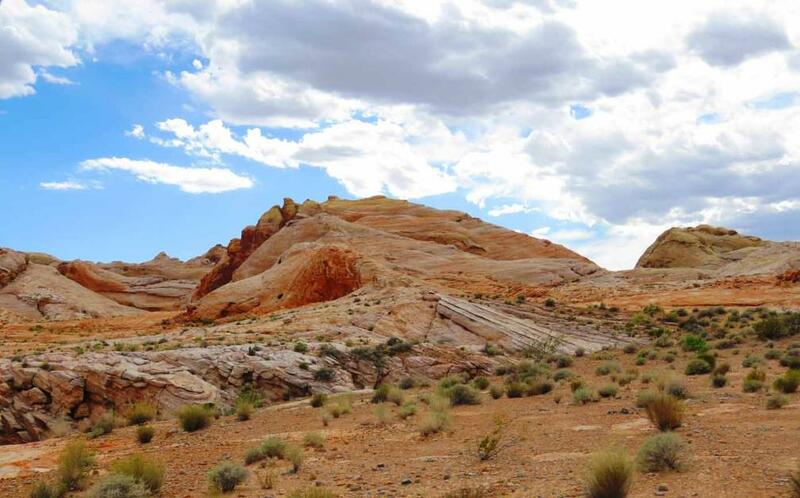 Brilliant contrast between white domes vs. red sandstones. 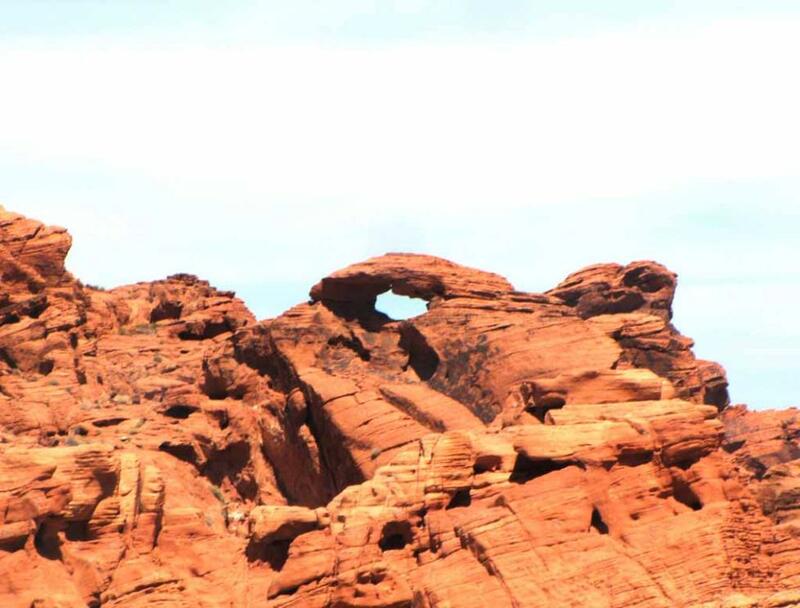 to tour this Playground of the Gods. 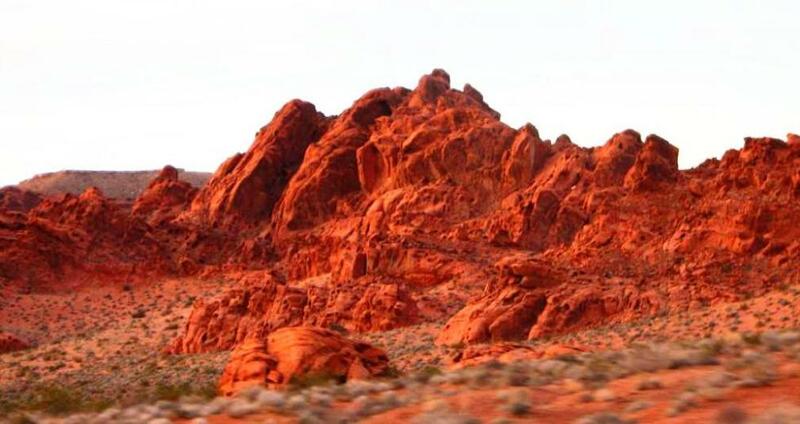 fiery red. 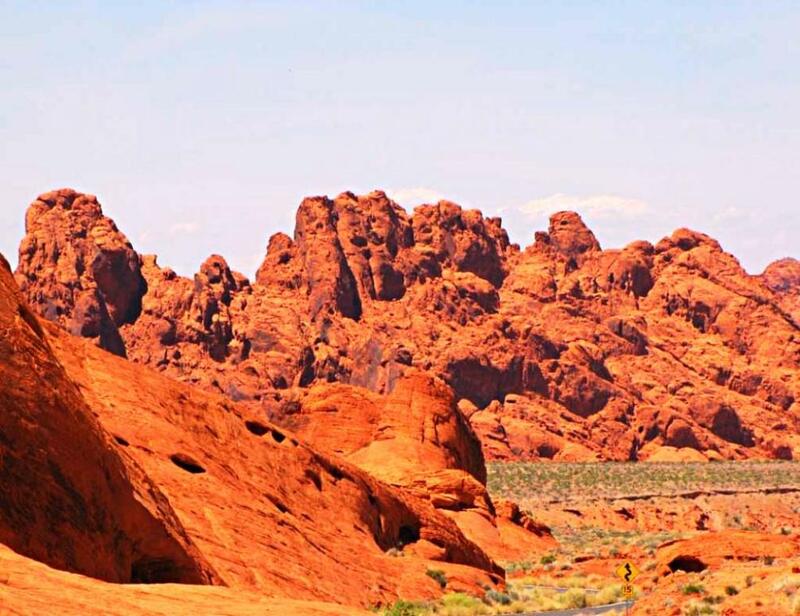 It is also known as Playground of The Gods and is a photographer’s dream. 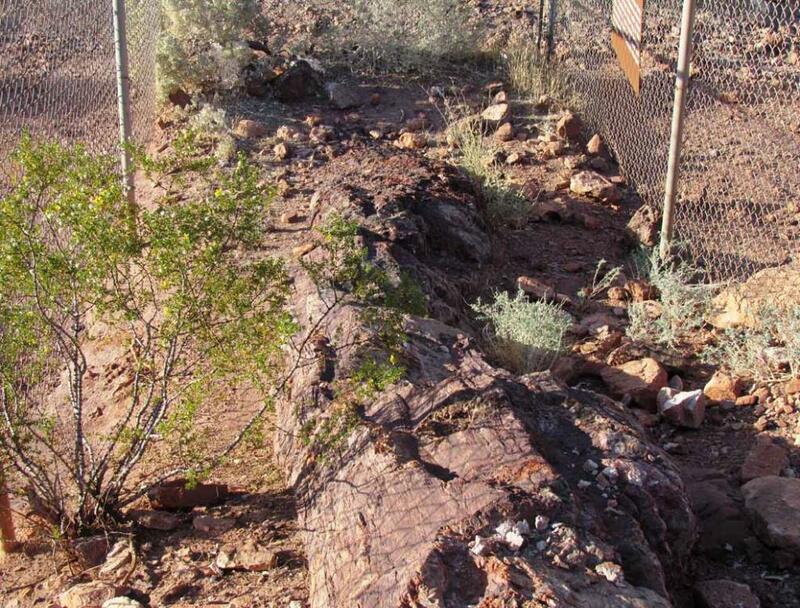 A petrified log in Valley of Fire State Park. 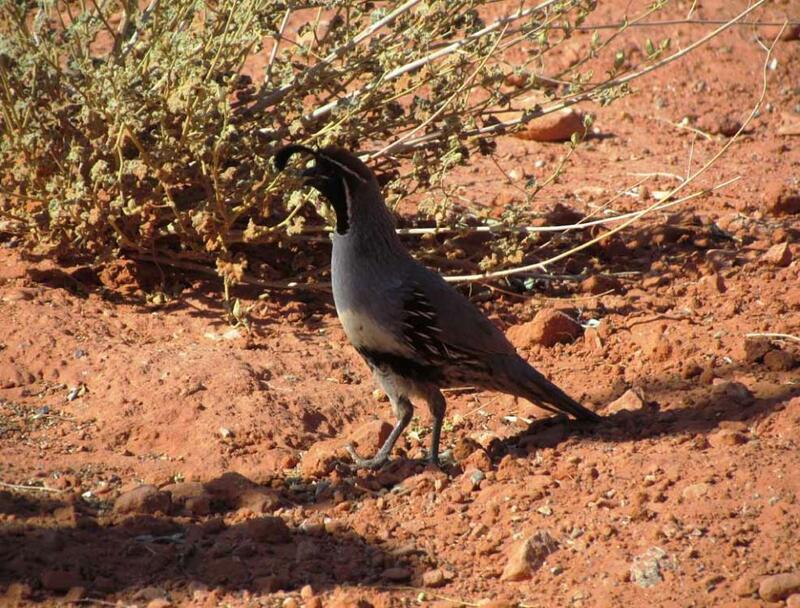 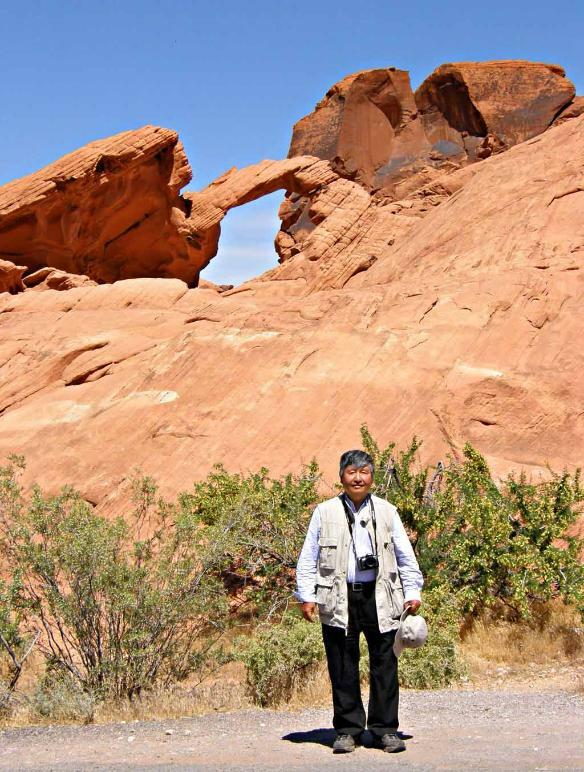 A quail (鹌鹑) near the visitor center in Valley of Fire State Park. 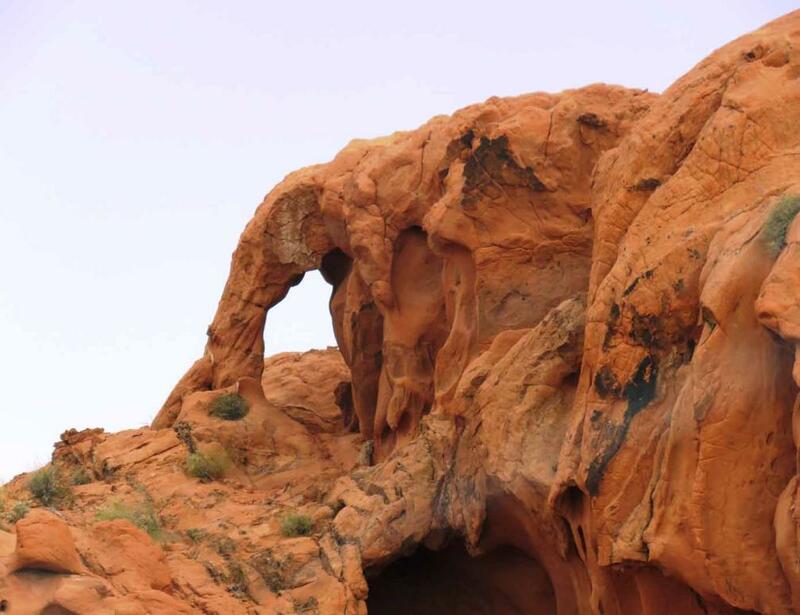 picture of the big horn sheep. 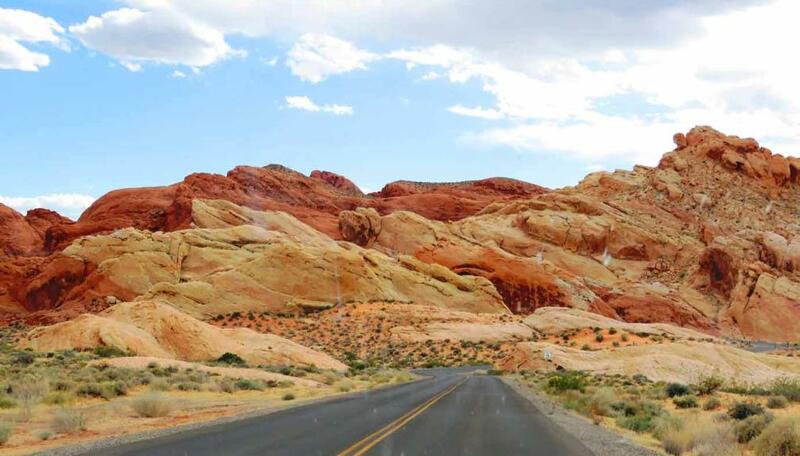 A very beautiful stretch of White Domes Roads winding through fantastic multi-colored landscape. 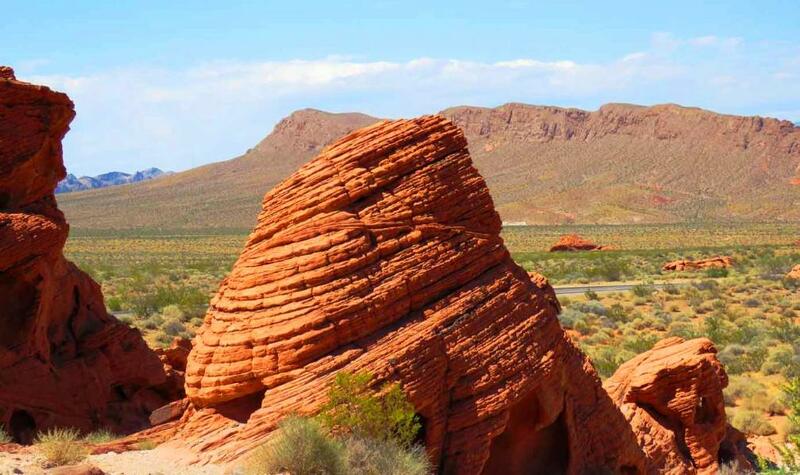 from inside the earth, forming jagged folds at odd angles. 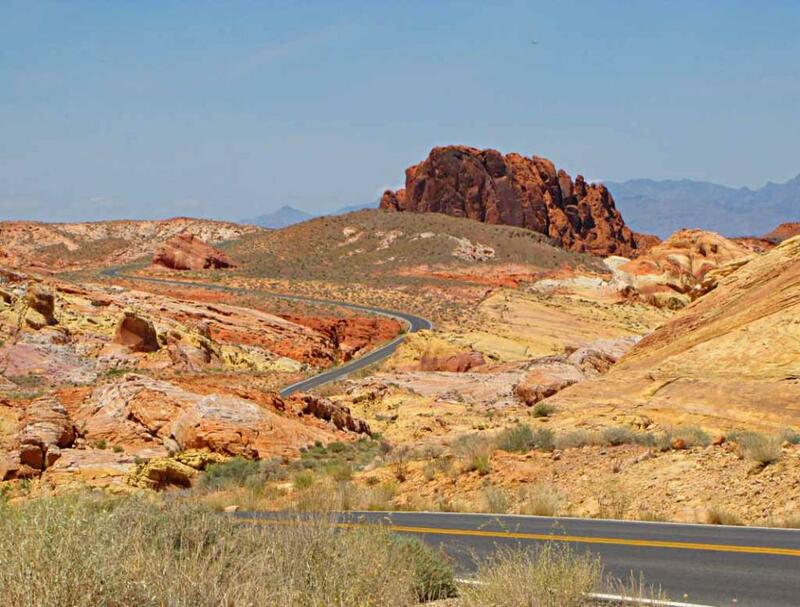 roads have a "winding" intersection in the area in front of the Visitor Center of Valley of Fire. 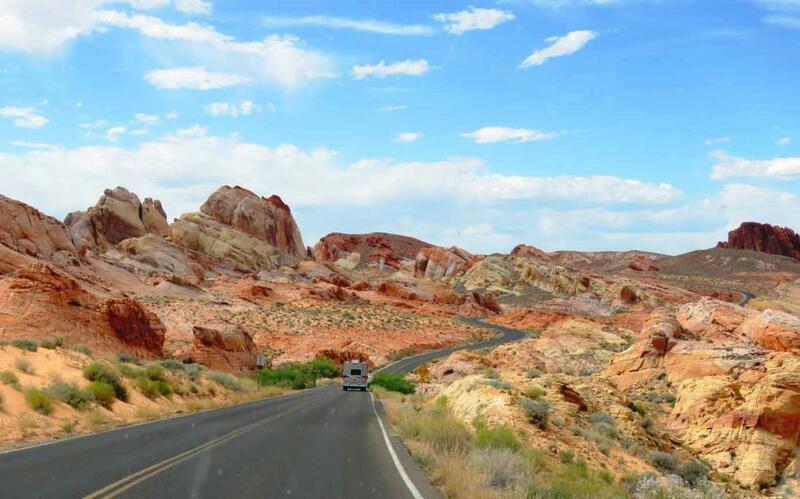 Fire Road (Highway 169) to go north along the fantastic scenic drive of White Domes Road! 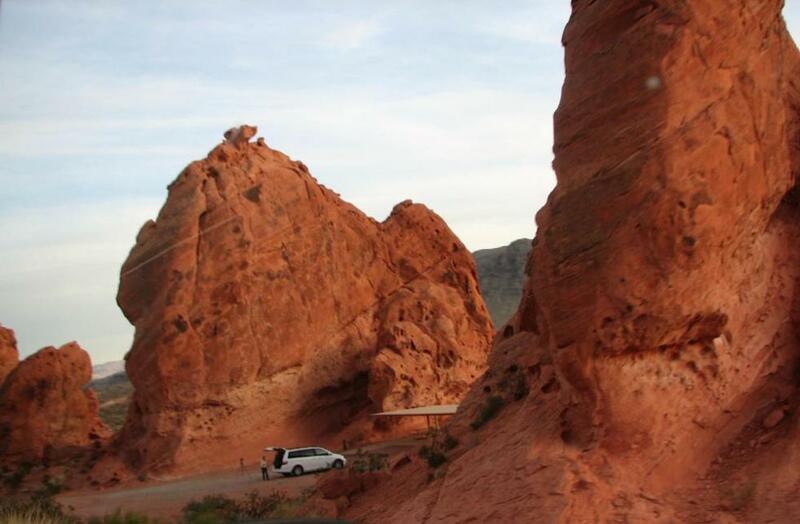 One of Silica Domes as viewed from the parking area of Fire Canyon & Silica Domes. 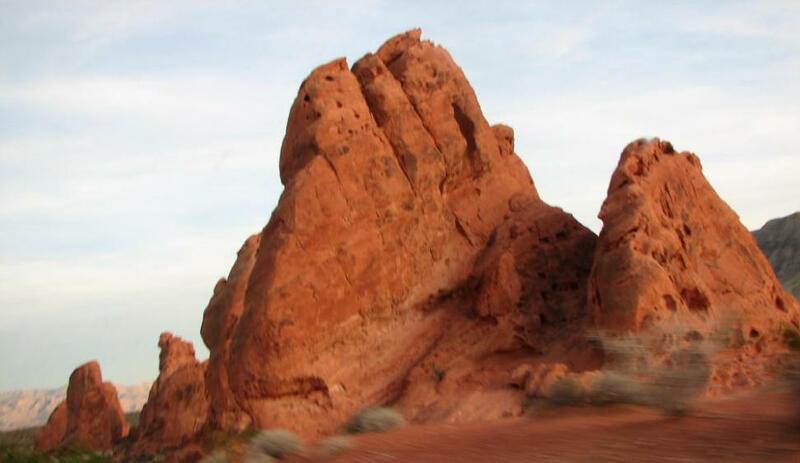 Amazing rock formations seen along White Domes Road. 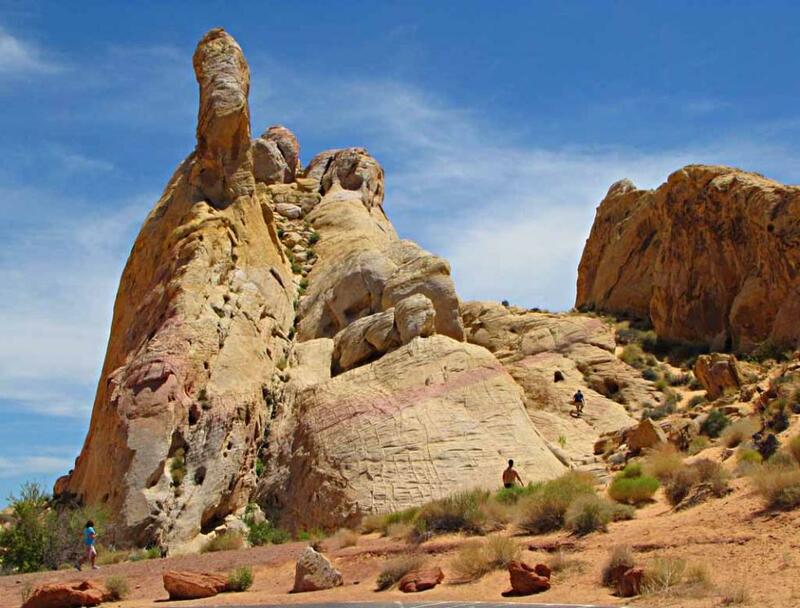 Another view of the Elephant Rock.